Quite interesting error was introduced in CRM 2015. The error is: "The specified date format is invalid or the date is out of valid range. Enter a valid date in the format: d/ M/ yyyy"
This error generally does not affect all the users, because it is related to user preferences. 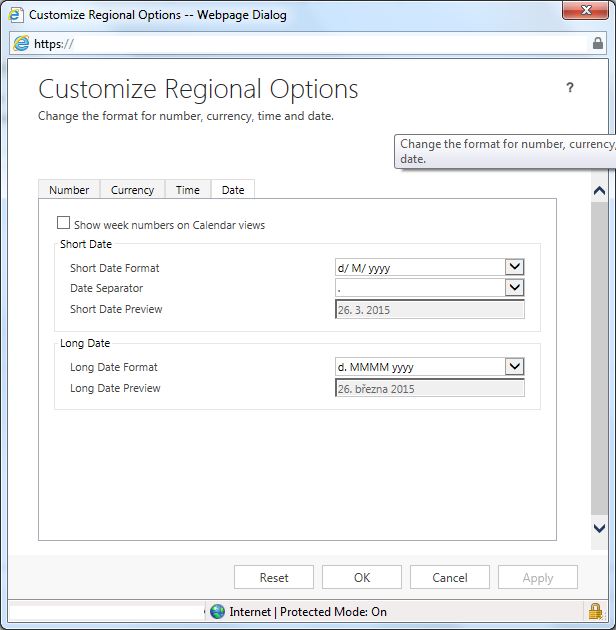 We identified this issue in CRM 2015 Online, we were not able to reproduce this error in CRM 2013. It happens when you have different date format for the CRM app and for the user. If these setting differ, then change it to the same setting. I prefer using "Reset button" to restore defaults. I can imagine that this will cause a lot of troubles to multinational implementations of CRM.